In today’s era of ubiquitous tech, it’s only natural that someone would go to great lengths to convert a cheap smoker into an automatic cooking machine, or have it text you once it’s finished cooking. If your appetite is not yet sated after checking those out, here a few more tasty morsels to tempt you. ← Let There Be Automated Blinds! A charred epoxy/phenolic lining probably isn’t terribly food safe but then again, smoking food probably isn’t the best idea either from an overall health perspective. Grilling meat is worse than smoking it. I suppose it depends on the technique in use, but in general creating char on the meat from burning the fat in it is the higher risk. This is why heating meat with electricity is much better for your health. There is no reason to destroy your DNA for a meal. Who in their right mind puts meat straight over the friggin fire? It’s the hydrocarbons that attach to your food that damage your DNA. Do it enough and you get cancer. Let me guess. Ya’ll are from California? 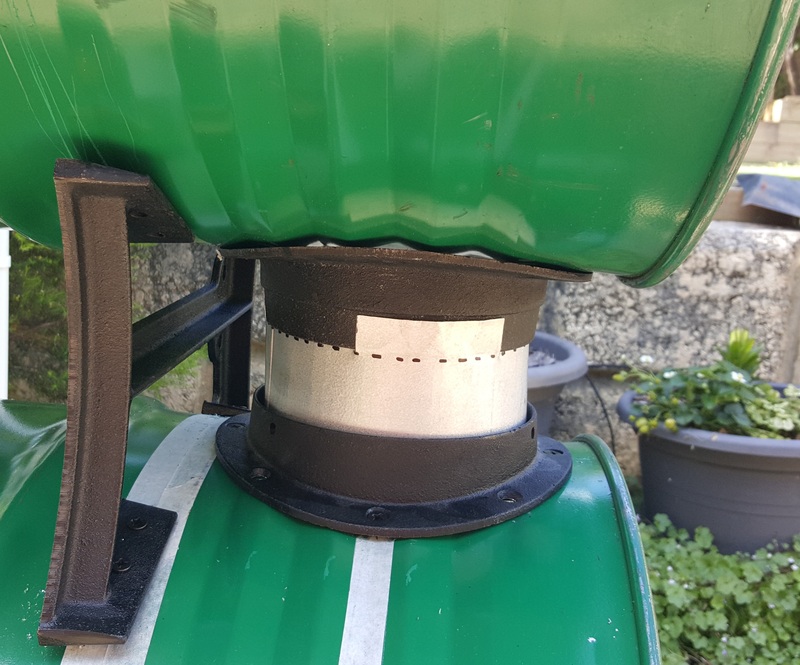 A linesman pliers with two nails taped (electrical tape) toward the edge of the lower clamping surface and one in the middle of the upper clamping surface actually works quite well as a crimper. “Looks” mean nothing to function. In a sane fashonless world, looks is what function looks like. The connection should be at the rear and the final flue at the front to get cross flow. Unless the upper barrel consists of two chambers connected at the opposite end. Then you can have intake and exhaust at the same end. Though temp control will be a bit difficult with that. The builder says he put in stone slabs to redirect the smoke. Maybe he just caught the flue? It is that season again…. I was always under the impression that an oil drum would always have oil in the pores of the metal. no amount of heating will keep it from leaching out, even if you made a large fire in it first. I’d think the heat would burn it out, even down deep in the pores. But I could be wrong. I often am. Metal doesn’t have pores unless it’s some sintered stuff or your particularly bad at welding. Even then porosity isn’t quite the same. As for the crimps & seams, they should be oil free after a couple good high heat burns. That said, use a barrel that held food safe compounds. I used barrels that had food-grade propylene glycol (animal feed antifreeze) so I didn’t have to worry about contamination. Still burned them out pretty well first. I find it’s hard to keep temperatures high enough. Excellent for getting smoke flavor into meat (almost too good sometimes) but huge wood/charcoal hog. Very intefficient. I did dual 3″ chimneys at either end baffled to require a winding smoke path instead of a single chimney, diffuser plate along bottom. I should probably do a writeup/blog post or something to share. And to the naysayers… Hackaday (to me) is as much about building cool stuff and exercising creativity in construction. I think this qualifies. I do like the smoker!! 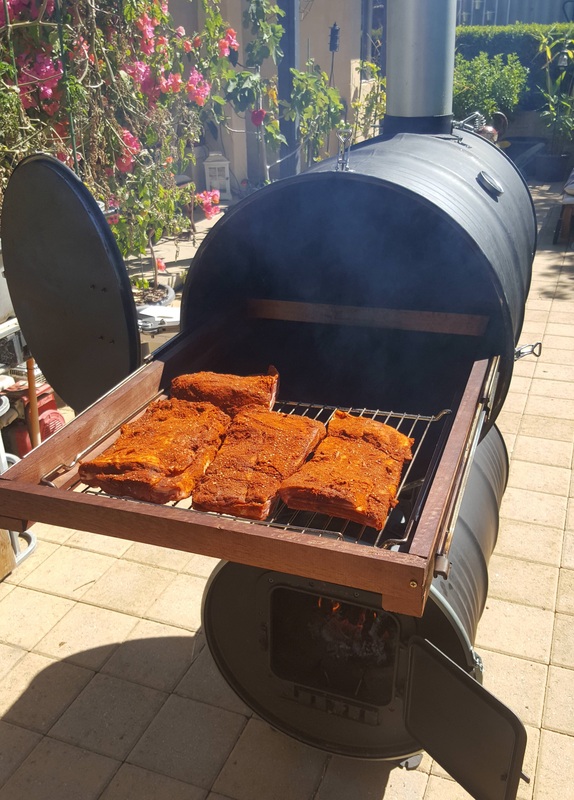 It might not be a hack per se, but a diy smoker is a really fun and easy project. Drum smokers especially, for someone who wants to smoke food you can build a better smoker than you can buy from a store. Aha … the whole neighborhood would be sooooo happy with the smoke and the smell. In particular those two houses just by the fence. No wonder everyone hates everyone else in suburbia Australia.